When we think of a detox, we usually think of a physical experience. But it’s not just our physical bodies that need to be cleansed of the impurities we encounter and absorb in our daily lives - it’s our minds, too. 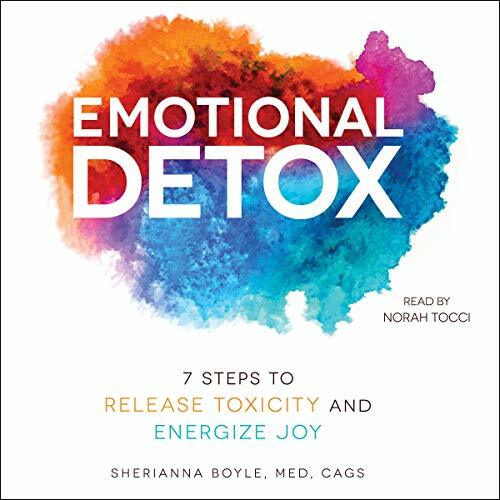 When we find ourselves unable to process our negative emotions and feel them becoming toxic to ourselves and those around us, it’s time for an Emotional Detox, a mindful and systematic guide to freedom from these troublesome feelings. Wellness expert Sherianna Boyle has created the revolutionary seven-step C.L.E.A.N.S.E. method to help you rid yourself of negativity, fear, worry, anger, and doubt and guide you back toward a natural, energized state of pure joy and acceptance. Learn how to clear your pathways, look inward, emit positivity, activate, nourish, surrender, and ease your way into your best self and a happier and healthier life. Emotional Detox is a much-needed reset for the soul.